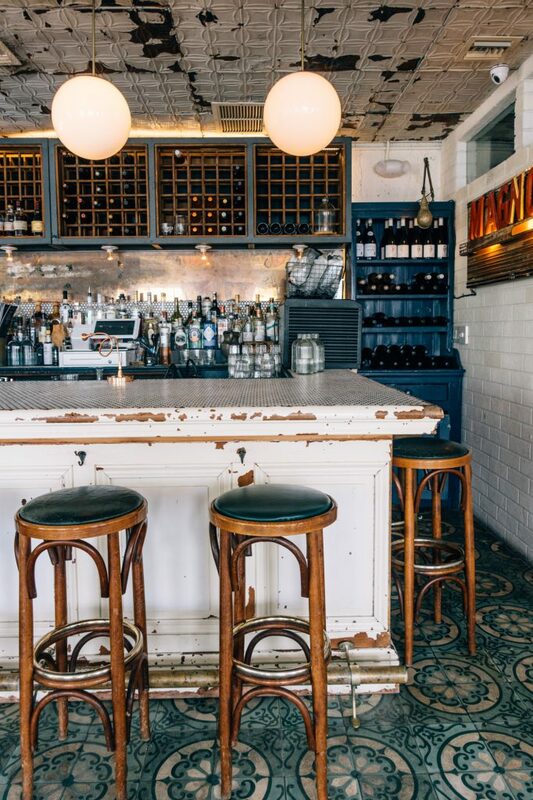 Although many people end up spending a lot of their time in Miami sipping high-priced cocktails on South Beach, those who are willing to stray from the crowds of Miami Beach and go deeper into the more residential neighborhoods of El Portal and its emerging southern neighbor, Little River, you will find some of the most charming and delicious restaurants in town. 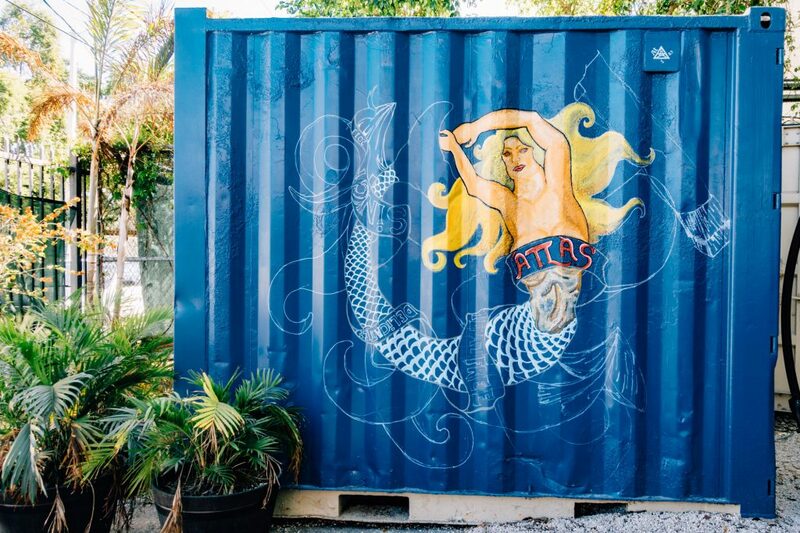 During my two visits down to Florida this year, our friends were eager to show me and my husband how an influx of artists and creatives are rapidly transforming these areas into the next new hip Miami ‘hoods. With its bird sanctuary status, beautiful tree-lined streets, and historic homes from the 1930s, I quickly fell in love with the lush tropical oasis vibe of El Portal. 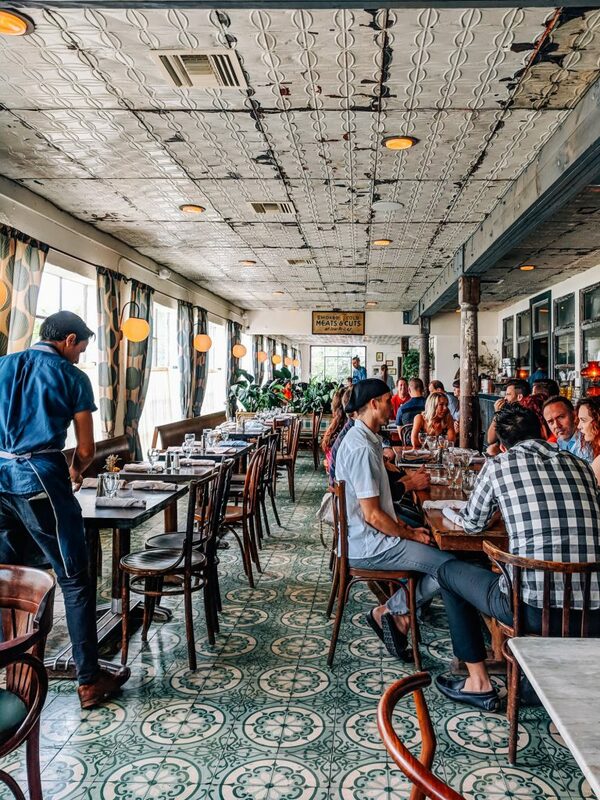 Little River has a grittier feel, with remnants of its industrial past still apparent amidst sprinklings of converted old warehouses and car shops that have turned into cool restaurants, breweries, and music venues. 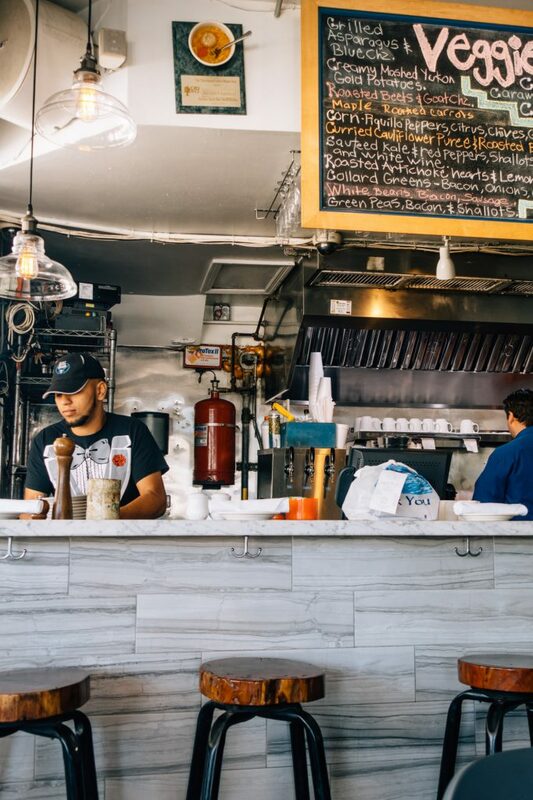 Here are my picks for where to find some top-notch food for breakfast, lunch, or dinner in these neighborhoods. Scroll to the bottom of this post to check out a map of where these awesome spots are located. 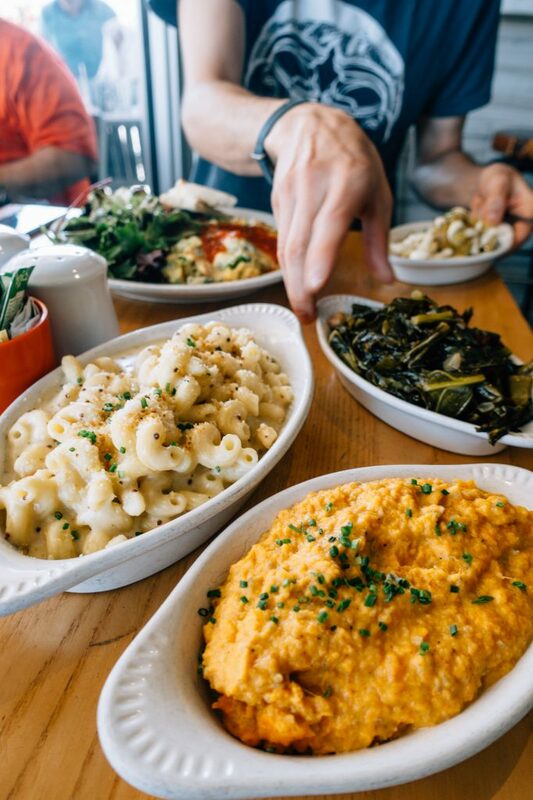 After previously being subjected to an underwhelming brunch experience at another restaurant, my faith in Miami food was restored during my visit to Pinch Kitchen. While this little restaurant’s shabby chic design of mismatched thrift store finds charming, it is clear that the owner’s main focus is (rightly) on the food. After taking a seat on the well-worn wood chair at my table, I had a moment of incongruity when I looked at the prices on the brunch menu. My eyebrows raised slightly as I saw that the appetizers ranged from $7-25 and entrees $15-28. If I was looking for a dirt cheap meal, this probably wasn’t the place to find it. However, once you sample the dishes, you will agree that it’s worth every penny. Every item we ordered was top notch. You can really tell that chef co-owners John Gallo and Rene Reyes love and care very deeply about how the food tastes. One of my personal favorites was the Ceviche made with corvina, wild red shrimp, choclo, and aji limo ($14). It’s full of bright citrusy flavor and a little bit spicy, but it also is served with what could possibly be my most favorite thing on their menu — a stack of deliciously salty, delicate yucca chips. These chips are so amazing that the very next day I ordered the ceviche from Uber Eats the next day for lunch just so I could get more of those chips. I was also bowled over by their plant-based, vegan-friendly Impossible Burger ($17). So far it’s the best version of an Impossible Burger than I’ve ever had. 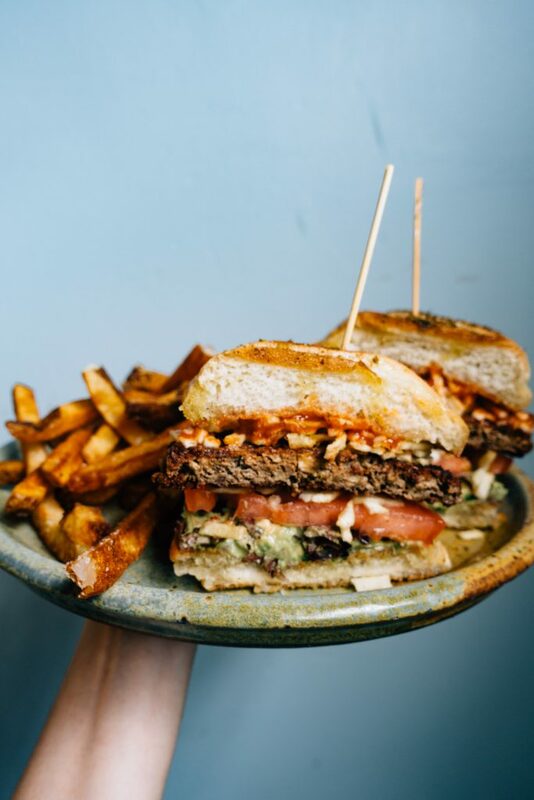 The burger features avocado, tomato, crispy onion, and house-made ketchup served on a Kaiser roll, but the best part is that they sprinkle wavy potato chips crumbs on top of the burger that give it the most satisfying crunch with every bite. My husband was in love with the side order of Olives ($8) which are marinated with Pinch’s own special blend of citrus, herbs, and spices. “These are the best I’ve ever had, easily,” he cried with delight after eating one. As a result, I ended up ordering a few extra cartons to bring home with us to Denver. 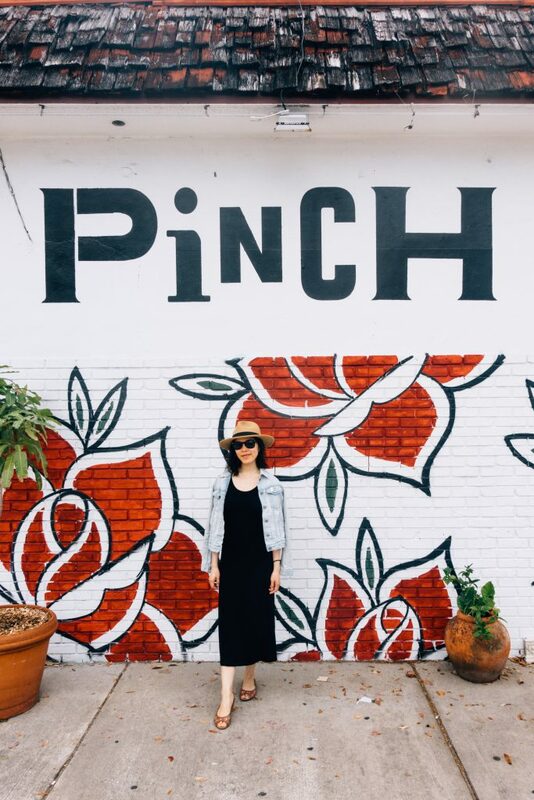 I’m pretty sure our next trip to Miami will involve a special stop at Pinch. Pro tip: Pinch does have a few dedicated spaces in the back to park. If you’re unable to snag a spot, you may be able to park in the antique and design mall across the street. 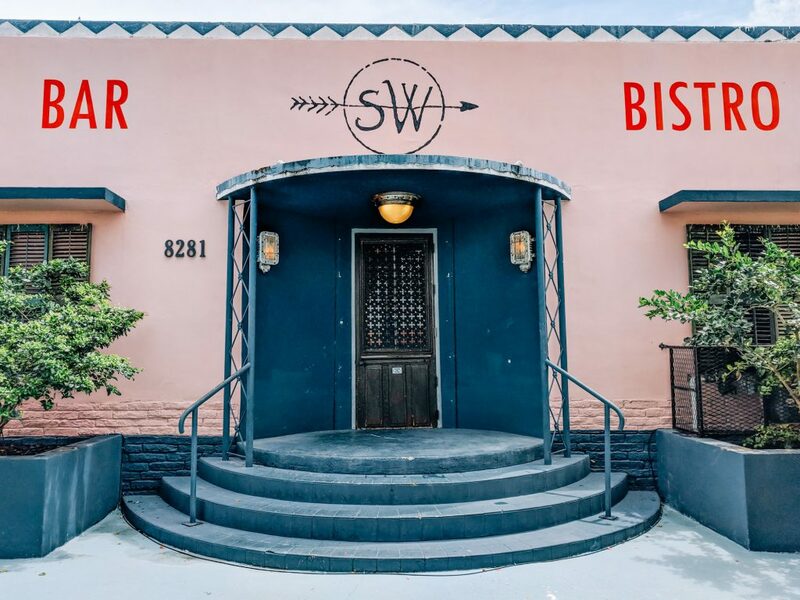 When you take a glance at the entrance of Sherwoods Bistro & Bar, it doesn’t look much like from the outside. Its pastel pink paint job with navy blue accents looks pretty but unassuming. 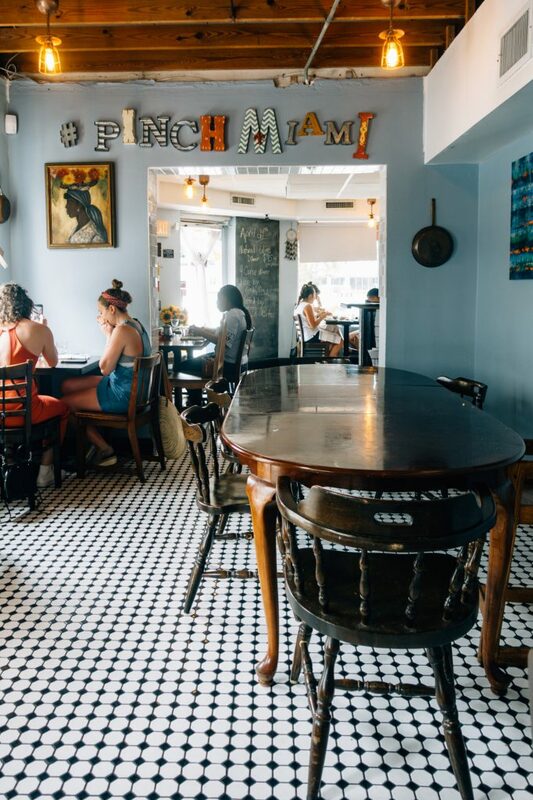 But once you step inside, you’re among a beautiful verdant jungalow paradise with green vintage floor tiles salvaged from the French embassy in Portugal, whitewashed tin ceilings, and tables smartly paired with handsome bentwood chairs. In addition to having an extensive cocktail list, they also have an impressive array of non-alcoholic shakes and juices to choose from. My Apple-ade juice ($8) was a deligtfully refreshing mix of green apple and mint. The very innocently named Breakfast Sandwich ($14) is a behemoth dish the size of your head. Scrambled eggs, “proper” bacon, and cheddar cheese are piled between two massive slices of bread, oozing out from every side. My husband really enjoyed the Panzanella Bowl ($14) which was a beautifully plated stack of cucumbers, tomatoes, and onions with labne and quinoa. 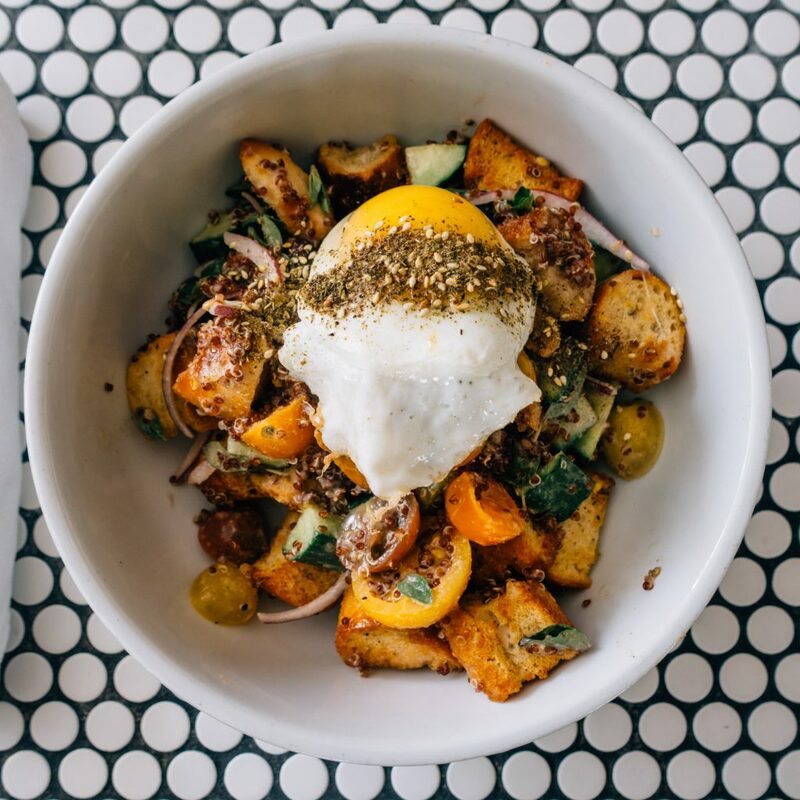 A poached egg was delicately laid on top of the heap and finished off with a sprinkling of zatar. I would suggest reservations if you plan on eating there. When we showed up for brunch there were several large parties of friends gathered for a leisurely meal. For those without reservations, you may end up like we did, sitting at the Magnolia Bar in the back of the restaurant — which by the way, is a lovely experience. There is a large outdoor patio in the back with umbrellas and string lights and it looked like it would be a wonderful place to dine in the evening. Please note – there isn’t really a good place to park around the restaurant, however, they do have valet parking. Just pull up to the stand on the left side of the restaurant (I think it may have been $5). Blue Collar is an upscale take on a local diner. There’s a heavy emphasis on breakfast standards as well as a Southern cuisine influences. 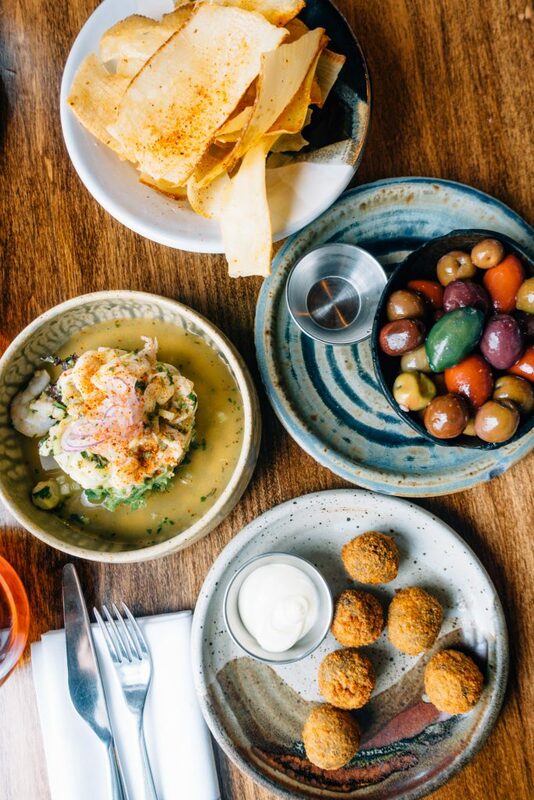 It’s the perfect spot to get a no-frills brunch or lunch. Service is fast friendly and efficient. I enjoyed the Mac ($14), which is made with a cavatappi spiral pasta tossed in a creamy cheese sauce blend of fontina, cheddar, and parmesan. If you’re feeling super-decadent, you can add bacon for an additional $3 or go crazy and get rock shrimp added for $8. Their sides are particularly good and can be a meal in and of themselves. We liked the Collard Greens ($6) which are cooked with onions and bacon as well as the Curried Cauliflower Puree ($6). Coffee drinkers will love that the java is served in adorable vintage red plaid Thermos containers so you don’t need to constantly be asking for refills. Prices are cheap and the food is filling. 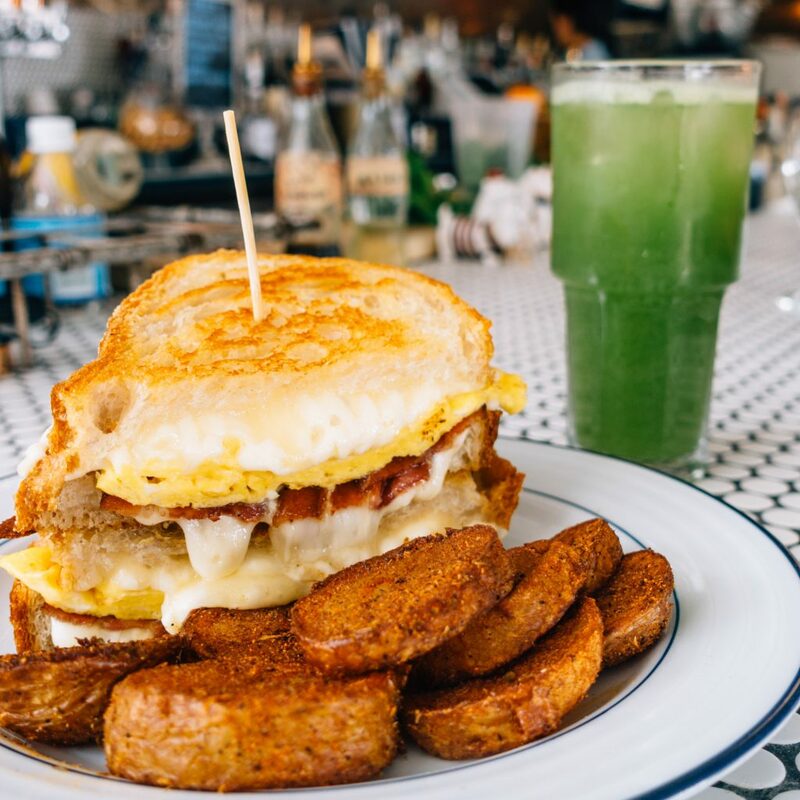 Brunch is only served on Saturday and Sundays, 11:00 am – 3:30pm. Lunch is Monday – Friday, 11:30 am – 3:30 pm. 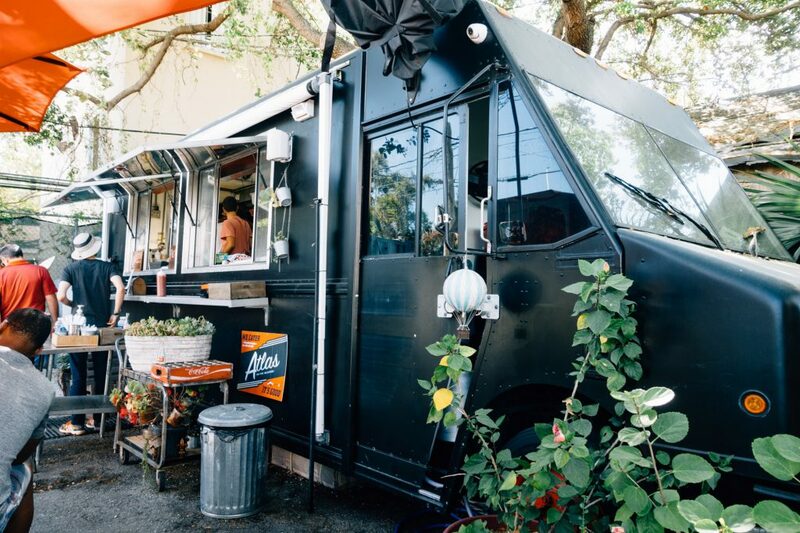 Atlas Deli is a completely vegan restaurant which runs out of a food truck permanently stationed on a little plot off NE 1st Avenue in Little River. 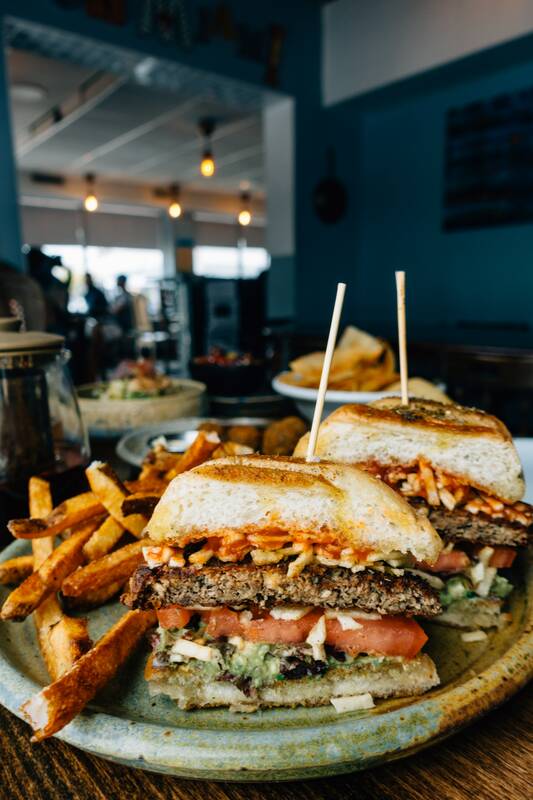 They serve street fair favorites like Sausage and Peppers, burgers, wings, and Loaded Fries that aim to satisfy even the meat eater and their reasonable prices mean you don’t have to break the bank for a quick meal. Half of their business seems to be takeout, but if you are looking to eat in, there are a number of large picnic tables and umbrellas set up in the fenced-in space that makes for a cute little area to dine in. Some dishes are more successful than others. 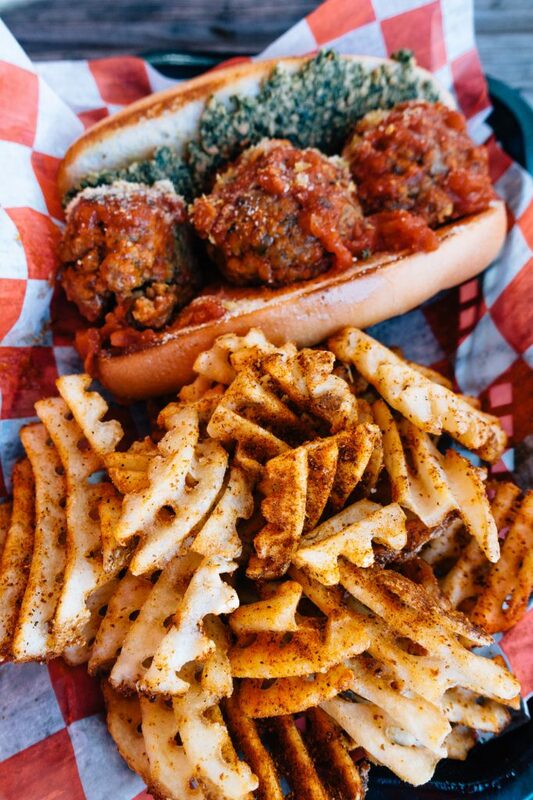 I personally recommend the Meatball Marinara sub ($9), which comes with three large meatless meatballs smothered with marinara sauce and a healthy smear of basil pesto on the toasted hoagie. 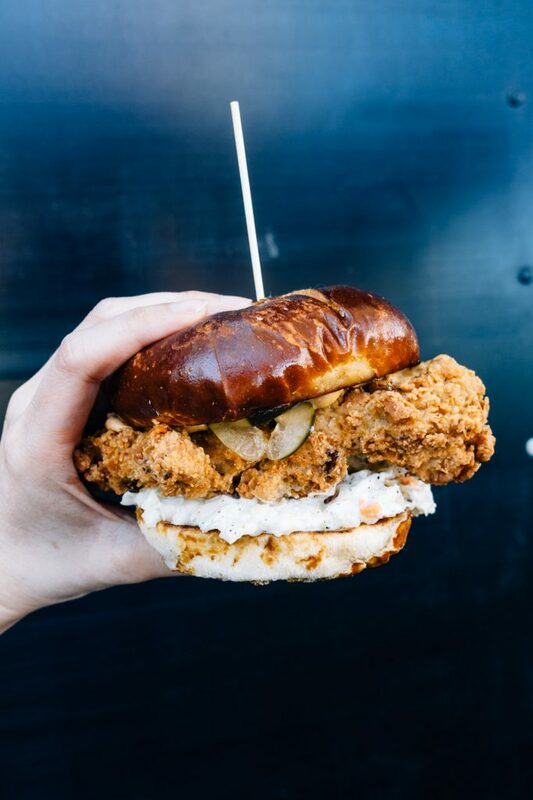 I also think the Buttamlk Chk’n sandwich ($9) which is a deep-fried fake chicken cutlet topped with cheddar “cheese”, a creamy slaw, and garlic aioli with a pickle on the side is quite good and satisfying. I also like to get a side order of the Seasoned Fries ($3.50) to round out the meal.